People’s addled minds are wired up by Jews. They have not a clue what is going on. The Jews are the corporate control. The Jews are the one percenters. The Jews are the Illuminati. The Jews are the “elite”. The Jews are the “glibalists”. The Jews are the “communists” and the Jews are the “anti-communists”. They are the left and the right. And they have everybody bamboozled by this false paradigm, all but our small but growing minority. We are the few who know what the hell is happening here and we are the only ones who can lead America out of this Evil. I am going to work for secession regardless of who is the puppet president. There are about 20 states which are ready to leave. We need to work with sesessionists in every state to assure that all or most of the 50 states secede around the same time to avoid creating a schism like the Civil War. And our wish must be to avoid any pitting of Americans against each other. The Jews would love that so it has to be avoided at all costs. Seccession is the only hope for Americans, the people of this beautiful land we are on. Federal politics has never, and will never solve our problems. Secession will create some new problems, but they are nothing compared with what we face against the Federal (Reserve ) government. I was amazed when that Victoria Nuland (originally “Nudelman”) Kagan, neocon, arranged takeover of Ukraine that many, including E Michael Jones, referred to this Jewish neocon woman and her gang as “fascists” and NAZIs. Had a bit of a hard time first learning that the Right and the Left and communism and fascism are all two sides of the same dialectical coin. Maybe Trump will make it possible for these international banksters to take down the U.S. and world economy without a nuclear war but they do love killing so much and they also are the owners of the weapons manufacturers and they always love a good war where they make lots of money while they are pursuing their mass murdering ways. I sent a link to this article to Mike King at TomatoBubble website as well as to the Gold-Silver forum. Yes. Great article by the way. What is happening is liberals (anti-Corporatism ) and conservatives (anti-socialism ) are both led by their noses by the same Jewish power agenda which ecompasses both big business and big government. They are expert at setting up false dichotomies and then urging people to take one or the other false choice, then never allowing them to know who the real enemy is. Divide and conquer works like a charm for them. Now one thing I have to ask is why the hell Christopher Jon Bjerknes is supporting Trump to this day. If anyone would know about Trump being a total Jewified creation, it should be him! So what the hell is up with Bjerknes? He has absolutely no excuse for joining hand with Trump and other Trumpeters like Alex Jones. Seems fishy to me. I agree with what PJ said up above in his comment dated November 8th, 2016. Does anybody here know who Mark Dankof voted for today and why? If I recall correctly, Trump only wanted Resorts International in order to only grab one of the hotels that he was particularly fond of- that just-so-happened to only be included within the entire “Resorts” portfolio. If Trump instead had originally had it his way, he would have only bought that one (or was it two) hotel(s)- not the entire Resorts International vast real estate holdings etc. etc. They made Trump bid for the whole deal- they would not let him cherry-pick only one or two assets. If I remember, Trump got some buyers ready to take the other assets, so he could keep the hotel he wanted, and then “flip” the other stuff off to the other buyers on his side- thus, he “made a deal” so as to be able to get only what he wanted- none of the other stuff. He didn’t have the cash/financing to buy the whole enchilada, so he put people together and at the end of it all, ALL buyers wound up happy- each getting exactly what asset from Resort’s entire holdings that each wanted. Somebody more familiar with that deal perhaps could comment below with all of the details. Either way, Trump (in my mind) seemed very innocent. Sort of like you and me buying a Porsche at a government auction- investigators into our past might discover that our Porsche once belonged to a drug lord, but that really had nothing to do with you and me- we just purchased a sports car at a really bargain price. We could not help that it was one of many assets that were originally impounded, and subsequently confiscated (then auctioned off) as a result of a DEA (Drug Enforcement Agency) investigation/seizure. We knew that it was an asset seizure as a result of a drug raid, however we just could not help that fact, nor did buying the car implicate us in the past crime(s) in anyway. No. Roger Stone is Donald Trump’s primary handler. Stone has been “advising” Trump since 1985, when he was introduced to him by Roy Cohn. Wayne Barrett, Donald Trump’s first biographer, recently said in a discussion with POLITICO that Roger Stone and Donald Trump have been planning Trump’s presidential campaign for 30 years. That Michael Collins Piper article on Trump posted on AFP, I found a mistake of identy of one of early investors. Edmond de Rothschild died in 1934 so it could not have been him that invested money. It could be instead Guy De Rothschild (b1909-2007). 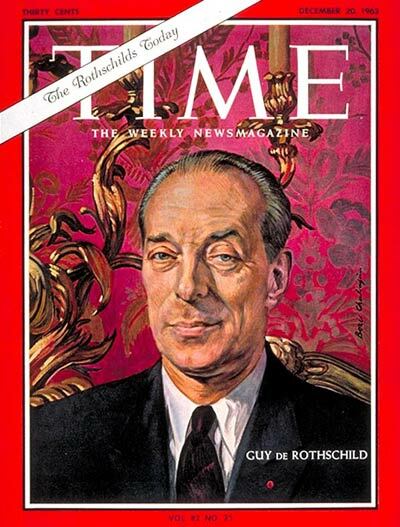 Here Time Magazine did a story on ‘Rothschilds Today’ in 1963, Dec 20 and featured Guy De Rothschild on the cover. So much have they corrupted the temple, through Freemasonry by theosophy( the corruptive factor)unto Zech 5, making as if the Ark was made for the temple & not the temple for the Ark, such that the Ark of the Covenant , that which the beloved Apostle witnessed in the temple in heaven, does not get revealed cut by hand, but uncut by hand to taken Into the Cave at horeb, in the spirit(uncut by hand) as stated by Jeremiah in 2 Maccabees2 4-8, to inheritance unto God himself, not to any land, “The Fruit of the Covenant” that commenced in the physical come in the Spirit, for God is Spirit, the Father, even as said of Jesus “His word is spirit” which is Life. When the Cloud, denoting the presence of the Most High filled the Holy of Holies making everyone in to move out, at the time of Solomon, is but to know that the significance of His Presence was not really to the Consecration of the temple itself, but “THE REST” & the Ark finally rested in the Cave at Horeb, at the time of Jeremiah. even to the words of God from ‘ole to a people in severe Apostasy “Ye shall not enter into my Rest” true until this day. If the point of these articles on Trump is to show that he is not independent of Jewish power, then that’s fine. But I don’t need to know any of this stuff about Trump to know that he’s in the pocket of the Jews. Any public figure who is not overtly anti-Jewish is disqualified from being trustworthy. The same rule applies to political movements and parties. This is a lesser of two evils option, as is always the case in non-Catholic states. The only leaders that Catholics could entertain trusting are those leaders who run Catholic confessional states. I voted for Trump this morning. I tend to agree with you about the lesser evils option.Tim makes a very good case for Trump being compromised and thereby blackmailed, and it’s very difficult to believe that someone with such serious connections to the likes of Silverstein and Giuliani can truly believe the guff he spouts about 9/11 and dancing Arabs, Bin Laden, the Saudis etc. However a Trump presidency may buy some time for Christians. I saw a comment on The American Conservative site today saying persecution is the seed of the Church. People often say this type of thing in an offhand way, but realistically how many of us are ready to be persecuted? 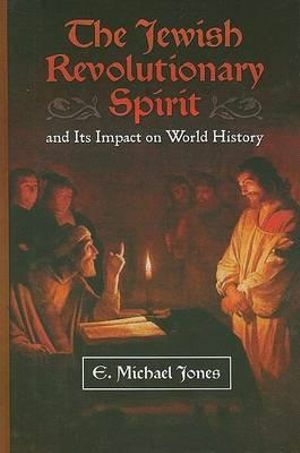 It seems to me that even the ridicule and hostility that comes with, say, disputing the official version of things like 9/11 is beyond the ken of most Christians (including most traditional Catholics) these days, so it’s difficult to see how they’d cope with the full on persecution that a Hillary administration might well have hastened. We can only pray that some good will come from Trump’s victory – even if many of the hopes entertained by the alt-right are outlandish. Gingrich may, as Tim says, have influenced some mainstream conservatives to support Trump, but Duke & co were in his camp long before March 2016. Indeed Duke and Kevin McDonald despise Gingrich, so logically his endorsement of Trump should have caused them to become more doubtful about their own support for him. I still can’t fathom what caused Duke to become such a Trump zealot so very early on – as in the Summer of 2015. A tactical preference for a Trump victory is, I still think, perfectly reasonable, but hero-worship is something else entirely. One doesn’t make and lose three fortunes in NYC, then make another multi-billion dollar stash w/o being in bed with the Wall Street gangsters that are looting the USA..
9/11 was an Israeli masterminded FALSE FLAG, aided by American traitors in the WH, the Pentagon, the CIA, FBI and NSA..
Senior editor at Briebart, Milo Yiannopoulos ‘Breitbart is a company staffed almost entirely by Jews’. REMEMBER THE U.S.S. LIBERTY ! One part of the puzzle that I could not understand was tyranny tolerating certain high profile alt-news voices; Alt-news voices of which many stuck me as suspicious. In other words, Alex Jones and his treacherous ilk were part of the plan more than a 100 years ago. Quite right. I tried to capture this concept in the following meme. I think it’s about time to make one with Trump. Trump is right out of central casting. Thanks for the inspiration, K. Chris C.! You have a lot of Great information here, But you seem to let a few small things out such as Alex Jones is Really a Jew, own by a Jew and Crew are Jews. Maybe you should go just a little Deeper, because I believe that Trump is also a Jew and it seems that most of them like the Just for Men Hair Dye. I like the way that all of the politicians Talk with their Hands(like saying watch my hands and you won’t hear my Lies) Old trick my Jewish Grandfather Taught me. As I have Jewish in me, My soul perfect is to know the Truth, not all Jews are Bad, Just the Rich Ones. When the time comes(and it looks like it will) I will Die along side the UNITED STATES, since they say that as of the Act of 1871, only WASHINGTON DC is AMERICA. I AGREE that NOT ALL Jews are bad/evil as this would be surely UNJUST TO SAY BUT THOSE CALLING THE SHOTS ARE EVIL INDEED! 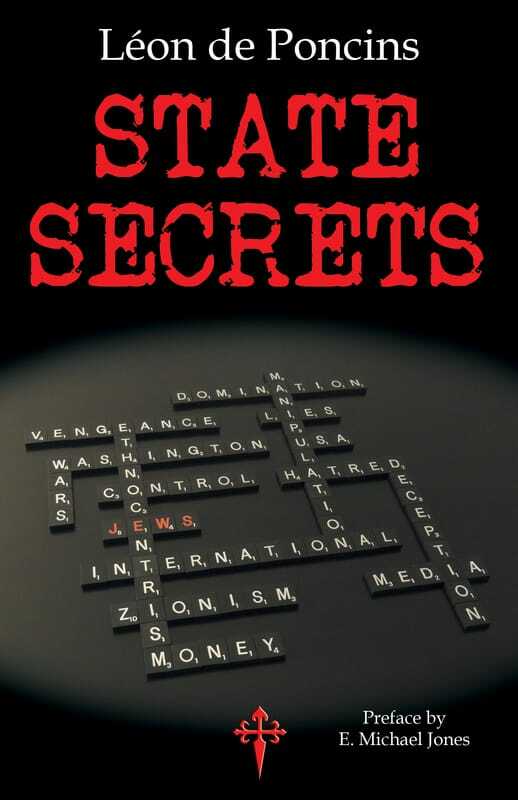 Go and research the “Holocaust” and FIND OUT HOW EVIL ZIONIST JEWS ARE! CLEARLY in a VERY EVIL, LINK BUT WELL THOUGHT OUT PLAN DID THE ZIONIST “ELITE” OF JEWS SACRIFICE THE POOR JEWS (surely was the ones being SACRIFICES/MASSACRED BY THEIR “BRETHREN IN FAITH” the POOR AMONG THE JEWS INDEED REAL JEWS (meaning religious))!!!! Zionist Jews MOSTLY EVEN IF NOT ALL are some atheistic, satanist MIX of a cabal whilst not many are religious. Sure am I talking about the so-called “elite” amongst them. As for the BLIND IGNORANT (YES ZIONIST LAYMAN ARE OFTEN EXTREMELY IGNORANT ABOUT WHAT’S GOING ON REALLY) ZIONISTS SOMETIMES can even be religious following the commands of their religion mostly. The financiers of ” Israel” the infamous Rothschild’s are MOSTLY SATANISTS and ATHEISTS as for example the 4th lord Jacob Rothschild is (he answers he’s NOT RELIGIOUS when asked about it). As for anyone believing in God there should be one thing CLEAR and that is that NO RELIGION IS BAD in the core BUT those who CLAIM to follow it are BAD USING RELIGION FOR THEIR GOALS and DISTORTING IT AS THEY WISH and such people are present “followers”/” practitioners ” of ALL THE RELIGIONS KNOWN TODAY. SURE are there and maybe here are some atheists CLAIMING that religion is the “source of all bad/evil/wars” on earth BUT THIS IS A EMPTY CLAIM SO FAR to me BUT we have to TOLERATE THEIR VIEWS AS WELL AS EVERYBODY IS FREE TO BELIEVE IN WHAT HE/SHE WANTS! There are GOOD and BAD in EVERY NATION, RACE and RELIGION INDEED (some more some less of each). Saying your Jewish grandfather teaching you, may I ask you if your dad or mom is Jewish? Feel free to answer or not as it is your choice only and I won’t get mad at you what ever you chose to do. Another problem in our time particularly is that MOST son called Jews, Christians, Muslims, Buddhists…. NOT HAVE MUCH KNOWLEDGE OF “THEIR RELIGION” NOR DO THEY PRACTISE IT RIGHTLY OR AT ALL! I for example know many “Buddhists” who have NO CLUE about Buddhism but have some “Buddha” sculptures at home and meditate hear and their BELIEVING THAT IS BUDDHISM. We can say that most are Jews, Christians, Muslims…. ONLY ON PAPER THAT’S IT FOR SURE! 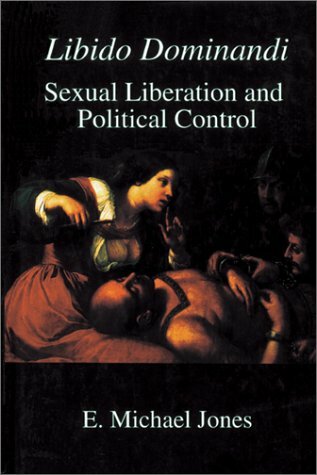 I CONGRATULATE MR. FITZPATRICK and ALL THOSE ASSISTING HIM IN THIS GOOD RESEARCHED WORK! I must say that I find this piece of work IMMENSE and TERRIFIC as I know how time and nerve consuming it can be indeed. Congrats to everyone who did the good work. I like to let you know that English ISN’T my native nor my first language so FORGIVE ME for any if my mistakes in writing. 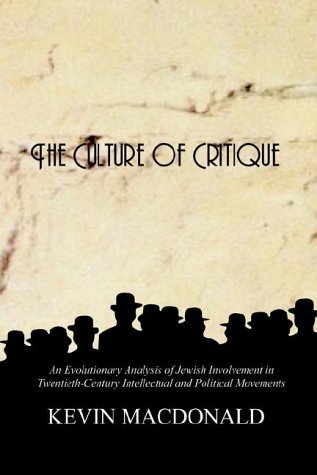 I TRULY APPRECIATE THE GOOD WORK ON THIS BLOG/SITE as I (SO FAR) SEE ACCEPTANCE OF CRITICS AND OTHER VIEWS.